We employ so many strategies for learning new words. Some strategies work, some don't. What we generally do is: we write down some words on our notebooks and we think that if we learn ten words per day we will be able to learn about 300 words per month and almost 3600 words per year. But, what is the reality? It’s different. Let’s try to remember our childhood when we used to go to our primary schools. How many Bangla or English words we knew after completing primary level? The answer is: a few. A man learns mainly through four ways: (1) Visual learning: Through this method a learner learns by reading books or watching pictures. (2) Auditory learning: sometimes a topic cannot be learned even after trying several times. If someone explains the topic to the learner, it becomes easier for the learner to learn. This is the characteristic of this method. (3) Verbal or Communicative learning: This is a method which indicates the ability to make someone understand a topic after self learning. (4) Kinaesthetic learning: This method refers to learning through sports and games. It's not a chair-table method. This method can be applied in children's learning. These very four methods can be used effectively to learn any topic. At the primary level, students naturally have a tendency to know or learn new words. But at the middle of the learning process they stumble due to weakness of the system. To teach the Bengali and English words the class teachers generally uses alphabet chart, letter cards, word cards etc in the classroom. 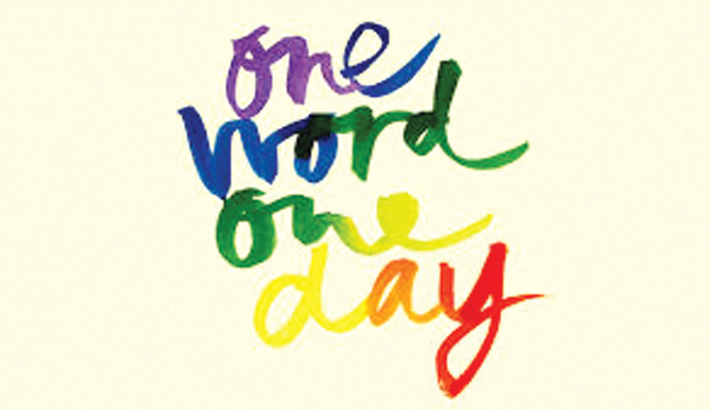 "One day one word" learning programme can make this process a permanent format. A child will learn at least one Bengali and one English new word through this process if class teachers do the work properly. Through this process, a child will be able to learn more than one thousand Bengali and English words with meanings after completing primary level. Whenever a child learns a word, it is hoped that he learns five aspects with the new word which are- meaning, spelling, pronunciation, usage and Memorization. So, learning a word means learning not only a word but also other five aspects of the word with which he can make sentences. A class teacher can use a format in this case in which he will keep accumulated estimations of the newly learnt words. He may use a register book for each class. If we can make the best use of this process, students from an early age will be rich in vocabulary. This "One day one word" learning programme is a pioneering initiative, I think. The writer is an Assistant Upozilla Education Officer.